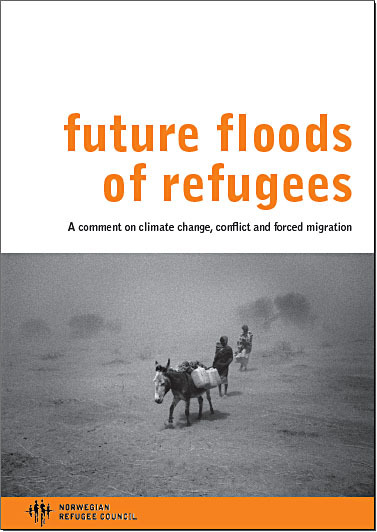 " オスロのＮＧＯ「ノルウェー難民評議会」は『Future Floods of Refugees（将来大発生する難民）』を発表した。「気候変動に大きな責任を有するのは先進諸国だが、大量の難民が西側諸国に押し寄せるかというと疑わしい」と指摘する。 "
" With the certainty of global warming, the term “climate refugees” is gaining popularity in public discourse. There seems to be some fear in the developed countries that they, if not flooded literally, will most certainly be flooded by ”climate refugees”. From a forced migration perspective, the term is flawed for several reasons. 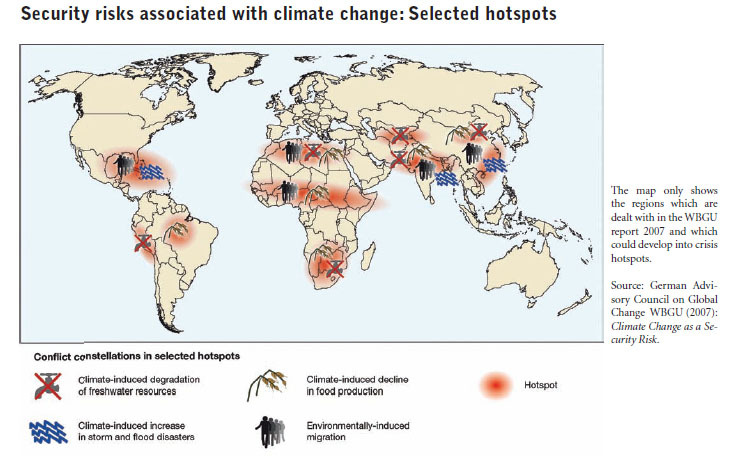 The term “climate refugees” implies a mono-causality that one rarely finds in human reality. No one factor, event or process, inevitably results in forced migration or conflict. 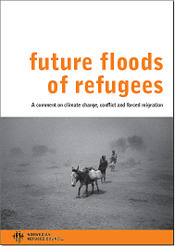 It is very likely that climate change impacts will contribute to an increase in forced migration. Because one cannot completely isolate climate change as a cause however, it is difficult, if not impossible, to stipulate any numbers. 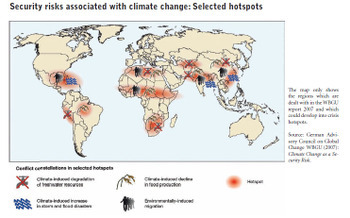 Importantly, the impacts depend not only on natural exposure, but also on the vulnerability and resilience of the areas and people, including capacities to adapt. At best, we have “guesstimates” about the possible form and scope of forced migration related to climate change. "